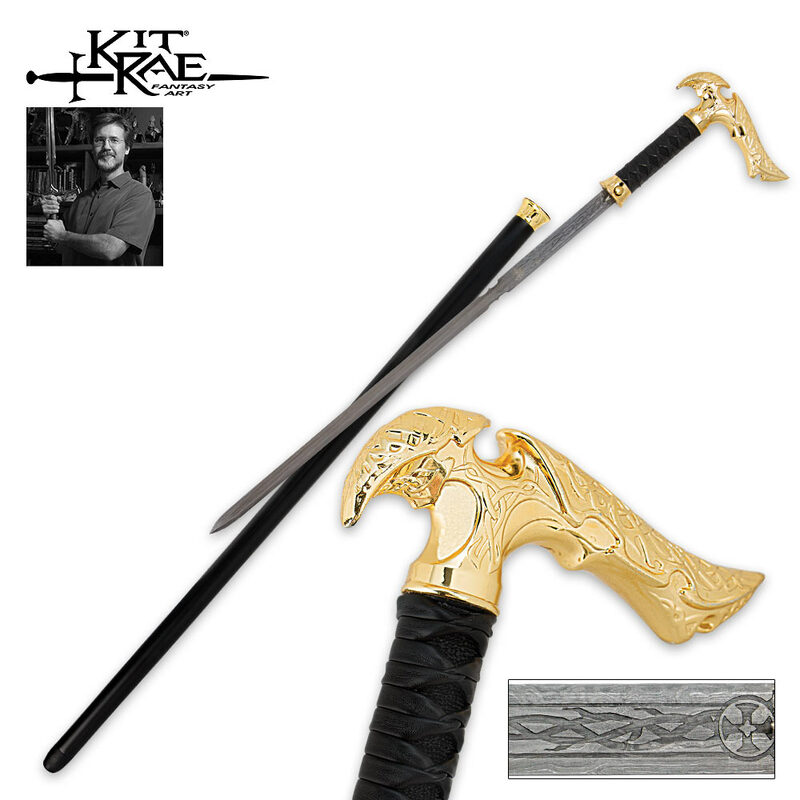 Fantasy meets function with Axios, Kit Rae's entry into the realm of sword canes. 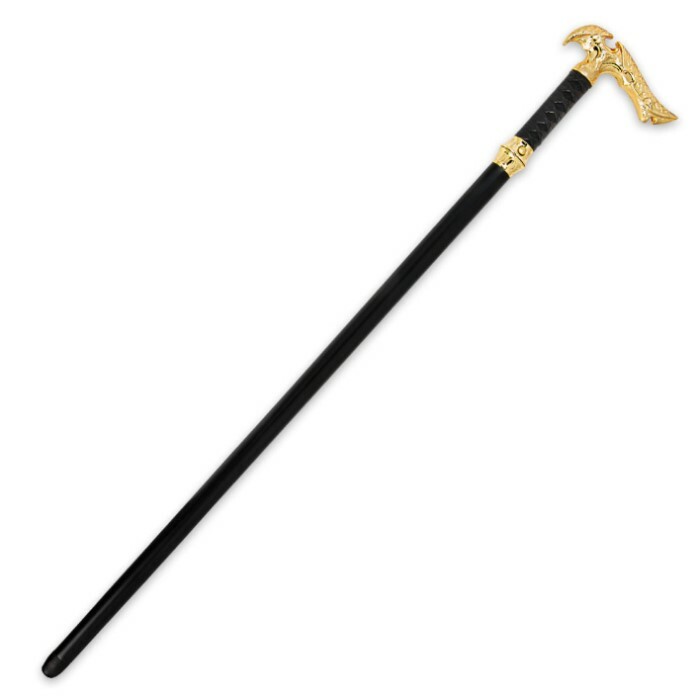 This fully functional sword cane is suitable for self-defense use and walking support in addition to accenting your outfit. Push a button at the base of the handle and lift to reveal the hidden sword blade within. Forged from tempered 1045 carbon steel, the double edged blade comes sharpened and features etched scrollwork on the side. 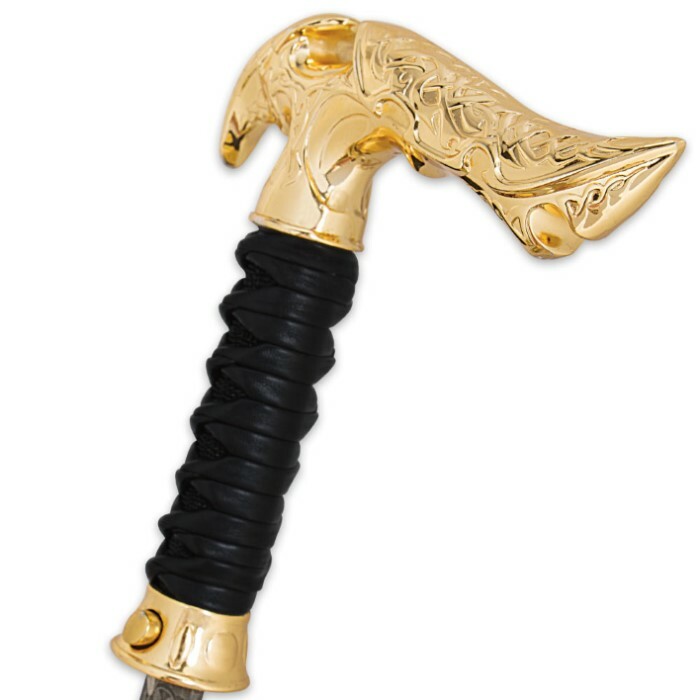 The L-shaped gold-plated cast metal handle is adorned with sculpture work and features genuine leather wrapping. Other features include a wooden shaft with metal fittings and rubber toe for enhanced grip while walking. overall. This is the most beautiful (and functional) sword cane I own (of many indeed) If you do not buy this cane you will be sorry when it runs out. I have already received many positive comments about this cane while shopping in town. Sturdy, weighty and the blade reposes in gold.